Relations between the Israel Defense Forces and the Egyptian army were conducted on a low level, with no joint exercises. Egyptian public opinion was openly hostile towards Israel and anti-Semitic terminology was common. Civil relations between the countries were carried out by a handful of government workers and businessmen. Mubarak became president while Israel was governed by Menachim Begin, and has worked with eight different Israeli leaders since then. He had close relations with Yitzhak Rabin and Benjamin Netanyahu. In the last two years, despite stagnation in peace talks between Israel and the Palestinians and worsening relations between Netanyahu and the Arab world, Mubarak has hosted the prime minister both in Cairo and in Sharm el-Sheikh. 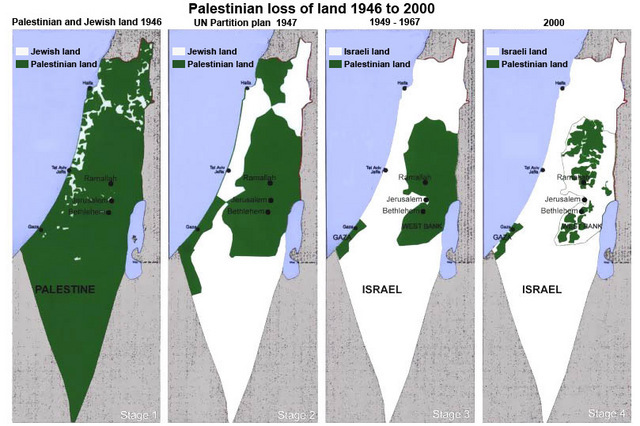 Israeli online daily, Haaretz, published the “map for a permanent solution with the Palestinians” that was previously proposed by the former Israeli Prime Minister, Ehud Olmert, to the Palestinian President, Mahmoud Abbas. The “peace plan”, Olmert presented does not include any withdrawal from Jerusalem, annexes all settlements surrounding Jerusalem, and also annexes all settlement blocs to Israel. The plan was never officially presented. He “offered” the Palestinians areas in the Negev desert and some areas near the Gaza Strip, in addition to a passage between Gaza and the West Bank. According to the plan, Israel annexes %6.3 of West Bank areas and evacuates isolated settlements located deep in the West Bank. Jerusalem and its settlements as part of the state of Israel. The former Prime Minister ‘offered’ the Palestinians 5.8% of “Israel’s lands”, mainly desert areas, in addition to offering a ‘safe passage’ between the Gaza Strip and the West Bank. The ‘safe passage’ or road linking between Gaza and the West Bank will remain under Israeli control and would always be monitored by the Israeli forces. He offered transferring 327 kilometers of “Israel’s land’ to the Palestinian Authority; the areas are in the Beit She’an Valley near Kibbutz Tirat Tzvi; the” Judean Hills” near Nataf and Mevo Betar; and in the area of Lachish and of the Yatir Forest. This means that even when the Palestinians ‘achieve independence’ they will still be subject to search and inspection by the army although they are supposedly moving between different territories of the ‘Palestinian state’. As for the refugees issue, the plan rejects the internationally guaranteed Right of Return, and only offers allowing a limited number of refugees into the Palestinian territories, and not to their cities and towns wiped out in 1948 by the creation of the state of Israel. Haaretz said that Olmert and the former United States administration, under George Bush, reached an understanding for the development of the Negev and the Galilee in order to house the settlers who would be evacuated from some West Bank settlements. Some of the settlers would be moved to West bank settlement blocs. On September 16, 2008, Olmert “offered” Abbas a plan based on talks that followed the Annapolis Summit of 2007. But Olmert told Abbas that handing him the new map is conditioned by signing a ‘comprehensive’ peace deal so that the Palestinians would not use the plan as a starting point for talks on further evacuations. President Abbas rejected the offer of Olmert and the office of Olmert never even handed him the map of the new plan. Israel does not view the final status peace deal as an issue that would bring independence and sovereignty to the Palestinian people. The internationally guaranteed Right of Return and all United Nations and Security Council resolutions calling for the full Israeli withdrawal for all Arab and Palestinian territories, including East Jerusalem, were fully rejected by Israel. …All this represents basic strategy: Israel intends to withdrawal unilaterally from minor areas in order to keep geopolitically strategic ones, especially Jerusalem and other blocs. The intention has always been to undermine Palestinian viability while controlling demographics. Jeff Halper’s “matrix of control” is another name for this strategy. It is no coincidence that the Wall has grabbed the best farmland and most of the water (“Security or Greed?” asks Avraham Tal in Haaretz, April 20), and has destroyed all economic interfaces and market towns (Nazlat Issa, Qalqilya, Mas’ha, A-Ram, Abu Dis and Al-Azariya), while Israel has marginalised the Palestinian transport system. As Israeli bombs fell on the Gaza Strip during its one-sided war between December 27, 2008 and January 18, 2009, millions around the world took to the streets in complete and uncompromising outrage. The level of barbarity in that war, especially as it was conducted against a poor, defenseless and physically trapped nation, united people of every color, race and religion. But among those who seemed utterly unmoved, unreservedly cold were some Palestinian officials in the West Bank. Mahmoud Habbash, the PA Minister of Social Affairs is but one of those individuals. His appearances on Aljazeera, during those fateful days were many. On one half of the screen would be screaming, disfigured children, mutilated women, and search parties digging in the dark for dead bodies, at times entire families. On the other, was Habbash, spewing political insults at his Hamas rivals in Gaza, repeating the same message so tirelessly parroted by his Israeli colleagues. Every time his face appeared on the screen, I cringed. Every unruly shriek of his, reinforced my sense of shame. Shame, perhaps, but never confusion. Those who understand how the Oslo agreement of September 1993 morphed into a culture that destroyed the very fabric of Palestinian society can fully appreciate the behavior of the Palestinian Authority in the West Bank during the Gaza war, before it and today. Those who hoped that the Israeli atrocities in Gaza would rekindled a sense of remorse among the egotistical elites in Ramallah, were surely disappointed when the PA withdrew its draft resolution supporting recommendations made by South African Judge Richard Goldstone. The Goldstone report is the most comprehensive, and transparent investigation as of yet into what happened in Gaza during the 23-day war. It decried Israeli terror, and chastised Palestinians as well. But the focus on Israel undoubtedly and deservingly occupied much of the nearly 600-page report. The next step was for the Human Rights Council to send the report for consideration to the United Nations Security Council, which was to study the findings for a possible referral of the case to the International Criminal Court e in the Hague. Such a move would have been historic. Knowing the full implications of such a possibility, Hamas accepted the report’s recommendations in full. Israel, backed by its traditional US ally, rejected it, leveling all sorts of accusations and insults on the world-renowned Jewish judge. The draft resolution – condemning Israel and calling for the transfer of the report to the UNSC – was due for a vote at the Council on October 2. Alas, it was withdrawn at the behest of the Palestinian Authority and its president Mahmoud Abbas himself. Palestinian friends and allies at UNHRC were shocked, but obliged. 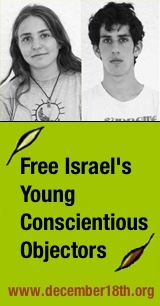 They were equally disappointed when they watched PA envoys discussing the matter, not with the Asian, African or other traditional allies at the Council, but with US and European diplomats, who seemed to have a greater sway over Palestinian political action than those who have for decades supported Palestinian rights at every turn. Something went horribly wrong. How could a leader of an occupied and suffering nation commit such a ‘mistake’, deferring an urgent vote and discussion on a report pertaining to the death of over 1,400 people, the maiming and wounding of thousands more, to a later date, six months from today? Theories flared. Israeli and other media argued that US pressure on PA president Mahmoud Abbas was the main reason behind the supposedly unanticipated move. A positive vote on the resolution would jeopardize the ‘peace process’, therefore any action must be stifled for the sake of giving the ‘peace process’ a chance, was the rationale. “No blood for mobile phones,” should perhaps be the new chant in Palestine. But it’s that sad fact that held the Palestinian will hostage for too many years. However, it’s not just mobile companies whose interests triumph over Gaza’s agony. Indeed, the post-Oslo culture has espoused a class of contractors. These are businessmen who are either high-ranking officials in the PA and the Fatah party, or both, or closely affiliated with them. Much of the billions of dollars of international aid that poured into Palestine following the signing of Oslo found its way into private bank accounts. Wealth generated more wealth and “export and import” companies sprung up like poison ivy amidst the poor dwelling of refugees throughout the occupied territories. The class of businessmen, still posing as revolutionaries, encroached over every aspect of Palestinian society, used it, controlled it, and eventually suffocated it. It espoused untold corruption, and, naturally, found an ally in Israel, whose reign in the occupied territories never ceased. The PA became submissive not out of fear of Israeli wrath per se, but out of fear that such wrath would disrupt business, the flow of aid thus contracts. And since corruption is not confined by geographical borders, PA officials abroad took Palestinian shame to international levels. Millions marched in the US, in Europe, in Asia, South America and the rest of the world, chanting for Gaza and its victims, while some PA ambassadors failed to even turn out to participate. When some of these diplomats made it to public forums, it was for the very purpose of brazenly attacking fellow Palestinians in Hamas, not to garner international solidarity with their own people. Readily blaming ‘American pressure’ to explain Abbas’ decision at the UNHRC no longer suffices. Even the call on the 74-year-old Palestinian leader to quit is equally hollow. Abbas represents a culture, and that culture is self-seeking, self-serving and utterly corrupt. If Abbas exits, and considering his age, he soon will, Mohammed Dahlan could be the next leader, or even Mahmoud Habbash, who called on Gaza to rebel against Hamas as Israel was blowing up Palestinian homes and schools left and right. Palestinians who are now calling for change following the UN episode, must consider the Oslo culture in its entirety, its ‘revolutionary’ millionaires, its elites and contractors. A practical alternative to those corrupt must be quickly devised. The Israeli wall is encroaching on Palestinian towns and villages in the West Bank, and a new war might be awaiting besieged Gaza. Time is running out, and our collective shame is nearly complete. Ramzy Baroud is an author and editor of PalestineChronicle.com. His work has been published in many newspapers and journals worldwide. His latest book is The Second Palestinian Intifada: A Chronicle of a People’s Struggle (Pluto Press, London). VIDEO: Al Jazeera debate: Is diplomacy fuelling Israel’s war on Gaza?